MURMANSK, August 26. /TASS/. Russia’s environmental projects in the Arctic will make the territory clean again there, Minister of Natural Resources and Environment Sergei Donskoi said during a working trip to Murmansk on Saturday. "We want to make our Arctic originally clean, when waste is not affects the view, but when it is not in the way of other Arctic projects, which we have many," he said. Quite a lot has been done already under some cleaning projects, he continued. For example, under the project, initiated by Russia’s President Vladimir Putin, to clean the Fraz Josef Land islands. "The project approaches the final stage," the minister said. "More than half of the environmental damage, gained over 60 years, has been taken to the mainland." Ecology projects also continue on Novaya Zemlya, at other Arctic territories. Besides the Arctic territories, cleaning will be organized also at the Russian northern shores. 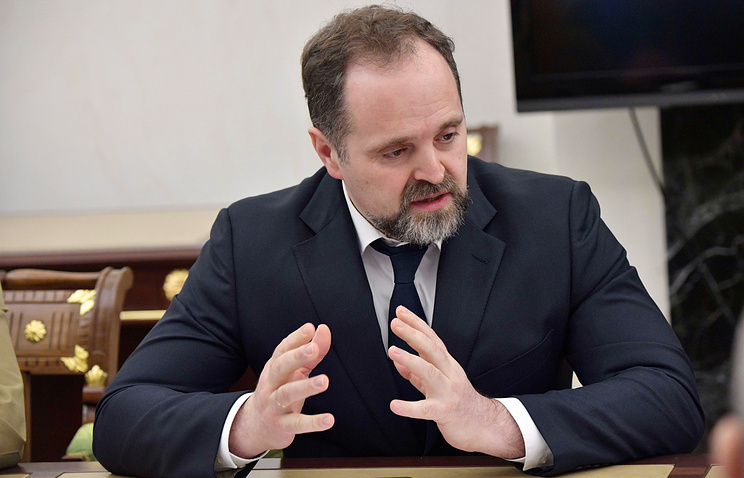 Earlier, the minister told TASS, Russia will spend 1.69 bln rubles ($28 mln) on ecological cleanup in the Arctic zone. These activities are carried out in accordance with a national project dubbed Clean Country. "In 2017, several projects are being implemented in the Arctic zone aimed at remedying environmental damage, nearly 1.7 bln rubles have been allocated for that," Donskoi said. He added that cleanup was underway on the Franz Josef Land Archipelago, in the protected zone of the Kuznetsov Stream in the north Russia’s Arkhangelsk Region and in the Siberian Republic of Yakutia (the Kular gold recovery plant). Besides, solid household waste disposal sites are planned to be rehabilitated in the city of Naryan-Mar located in the Nenets Autonomous District. In 2012-2015, a total of 40,000 tonnes of waste were recycled and 200 hectares of land were rehabilitated in the Arctic zone. The program was first launched on the Franz Josef Land Archipelago where 44% of the accommodated waste has already been recycled. There are a total of 102 areas in the Arctic zone where waste has been piling up since the Soviet era and needs to be recycled. The situation in the Krasnoyarsk Region is the most difficult, as there are 52 such areas. At the same time, the Nenets Autonomous District and the Republic of Yakutia are the cleanest territories.